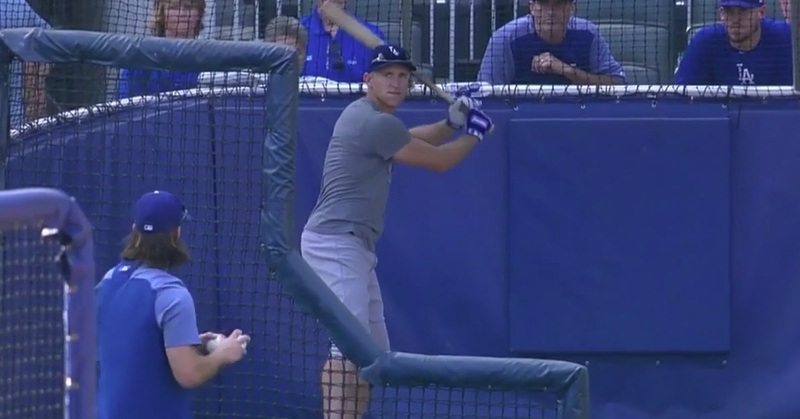 I’m not nearly the first tonight to weigh in on the bizarre, absolutely out-of-nowhere manufactured controversy in which Braves announcer and one-time Dodger outfielder Joe Simpson ripped his original team for their non-uniform batting practice attire tonight, but I want to make a few particular points about it. First, here’s the text from Simpson, kindly transcribed by Jack Baer for Yahoo Sports. That Simpson’s comments were accompanied by a lengthy tape from batting practice only underscores what an orchestrated hit job this was. It’s absolutely extraordinary for one team’s announcers take a shot at an entire organization over this. Simpson, who played 71 games for the Dodgers from 1975-78, has every right to his opinion — just as we have every right to call it stupid. And yes, it is stupid, not only on its merits, but that somehow Simpson thinks that his take on what’s appropriate for the Dodger franchise is more qualified than literally everyone working for the team today, including his former manager, Tommy Lasorda. The sheer arrogance of it all is astounding. Dave Roberts, who would be the Dodger directly responsible for supervising the team’s attire — not that he’s twisting alone in the wind — should be flabbergasted, and Simpson absolutely owes him a personal apology, in addition to one to the franchise. I don’t say that lightly. But when you’re calling the Dodgers’ behavior an embarrassment, you are taking a direct shot at their leadership. Simpson is not only saying he knows better, he’s saying that the Dodger manager should be ashamed. It’s an overt insult and completely inappropriate. If Simpson needed any hint that he was barking up a very wrong tree, consider him thinking that you know better than Chase Utley, who is revered throughout baseball (at least outside of New York City) for his professionalism. How does Utley’s implicit endorsement of the Dodgers’ attire not make you, at a minimum, just let this issue pass with nothing more than muttering over your pregame chow. Then there’s the heartbreaking concern that Dodger fans who want to see their players “had no idea who any of them were.” Think about that for a moment. Dodger fans committed enough to make the effort to see their team take batting practice play on a July afternoon in Atlanta wouldn’t recognize Utley or Justin Turner or new hero Max Muncy. 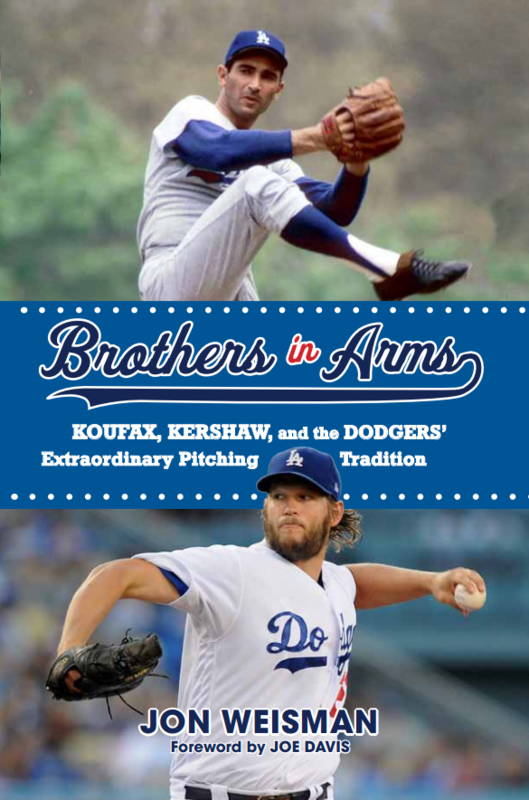 Guess what, Joe: Dodger fans of that caliber will recognize those guys in silhouette. This entire kerfuffle, of course, is an even bigger hoot given the ongoing conversation about baseball marketing. Heaven forfend that a couple of hours before first pitch, any ballplayer shows off some individuality. As for the particular shirt that Utley was wearing, I will try to be generous and assume that Simpson didn’t realize the shirt stood for the fight against cancer. But it certainly doesn’t make Simpson’s words play any better. With Simpson not on Twitter, his partner Chip Caray stepped in to play defense, producing several gems in the process, including this “lighten up” scolding that has been fast-tracked to approval by the Irony Committee. The only saving grace from tonight was that at least the ballplayers shown on the video were white. Because if Simpson had laid out this diatribe using Yasiel Puig as the object of his derision, my head would have truly exploded.